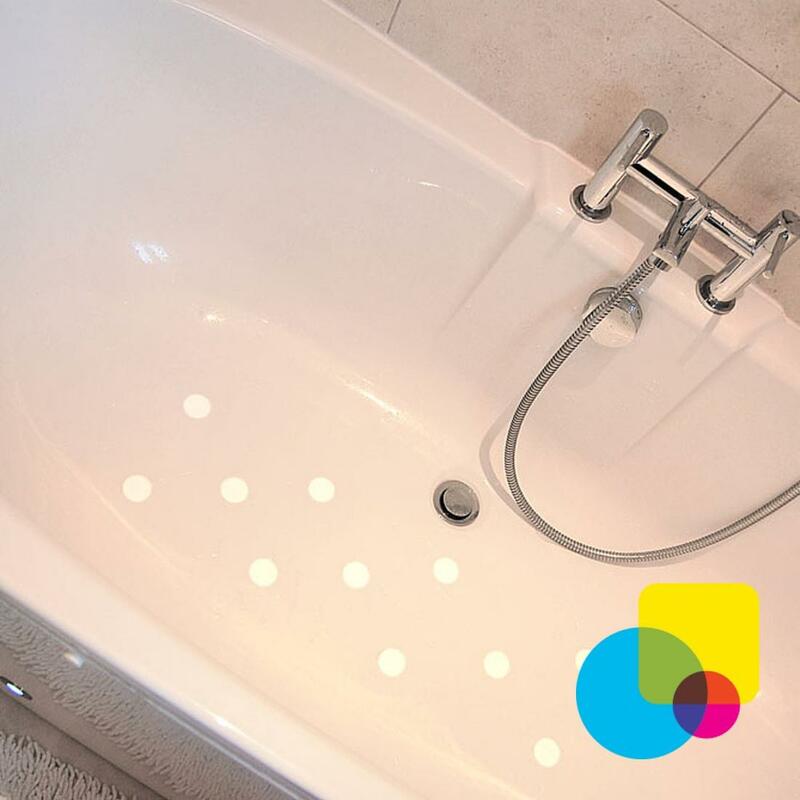 Tenura anti slip bath and shower stickers will prevent slipping and blend into the bath or shower, and your bathroom decoration without looking out of place. They are easy to apply, and much more efficient than bath mats, which without cleaning can attract mould. 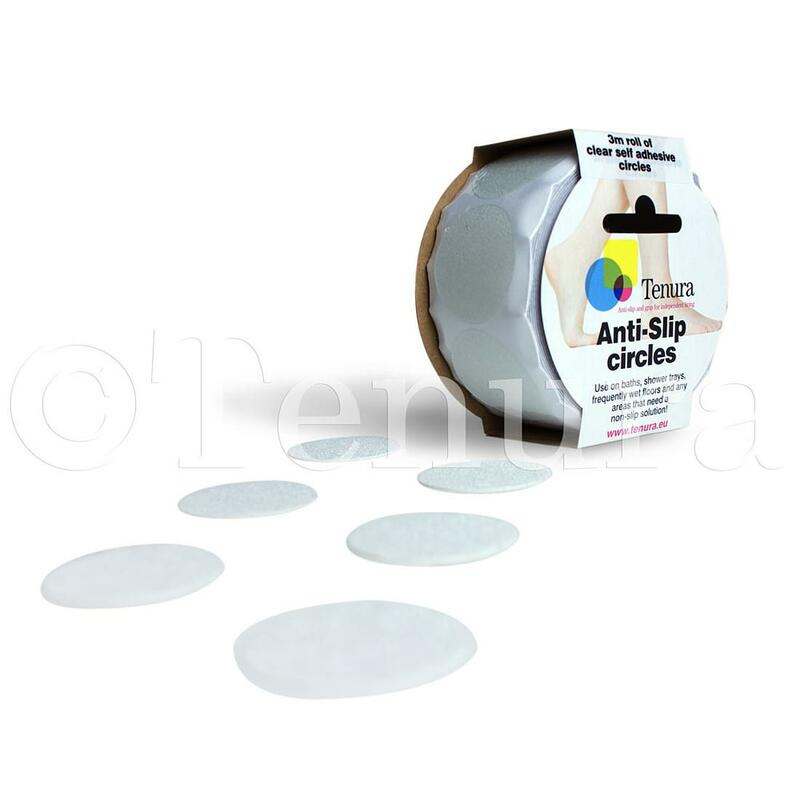 As for the non slip qualities, our anti slip stickers have excellent slip protection and are also non abrasive, which means they will not harm bare skin, but will grip exceptionally well. Due to their lack of peaks and valleys, our decals will not harbour bacteria like bath mats do, so cleaning is easy. 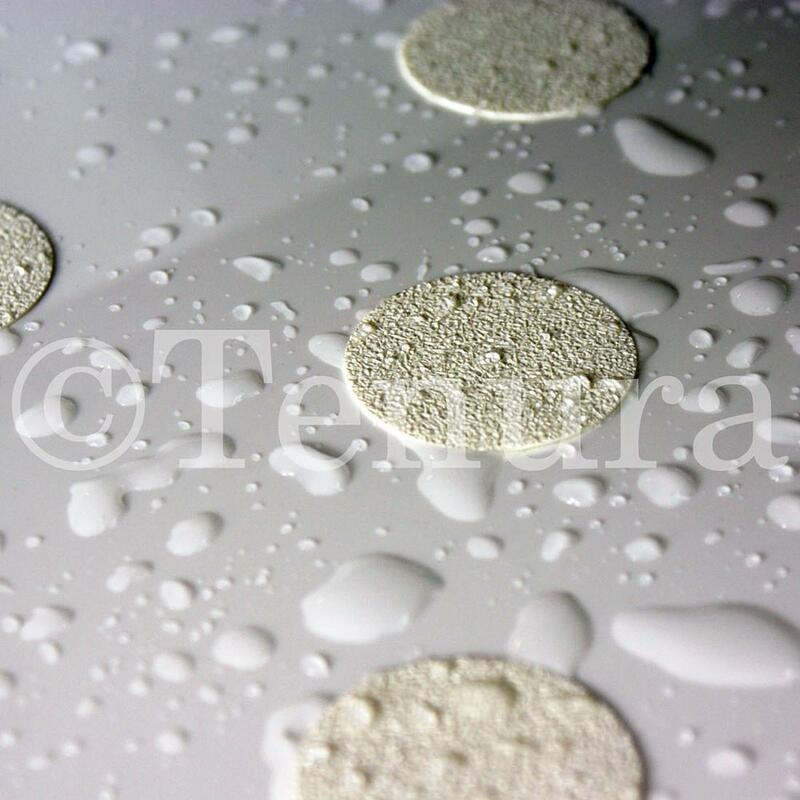 Tenura anti slip bath and shower stickers are available in rolls of approximately 30 strips, or 72 discs in white or transparent. Please note: Anti slip bathroom stickers are not eligible for VAT exemption.